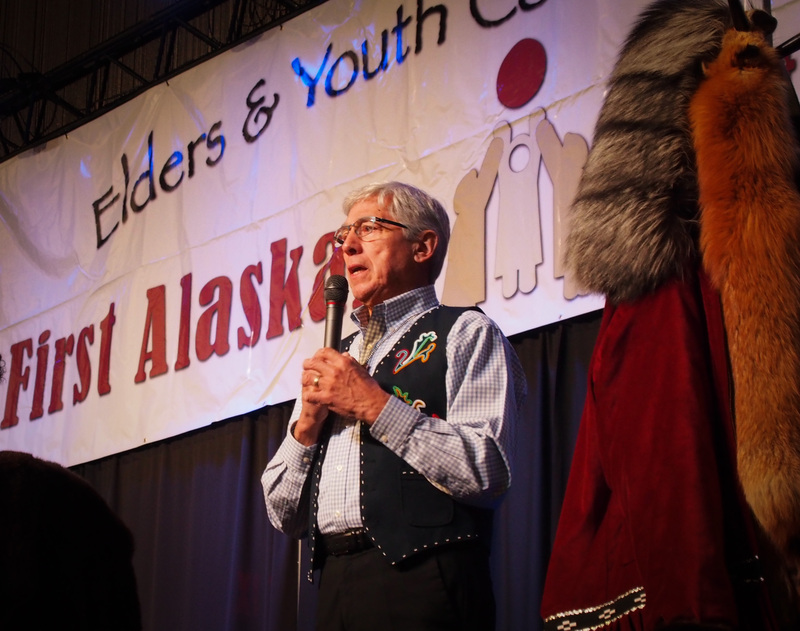 The first full day of the 34th annual Elders and Youth Conference kicked off in Anchorage this morning. The gathering of more than a thousand people from across Alaska takes place just ahead of the Alaska Federation of Natives convention each fall. It aims to promote indigenous identity and share cultural knowledge between generations. 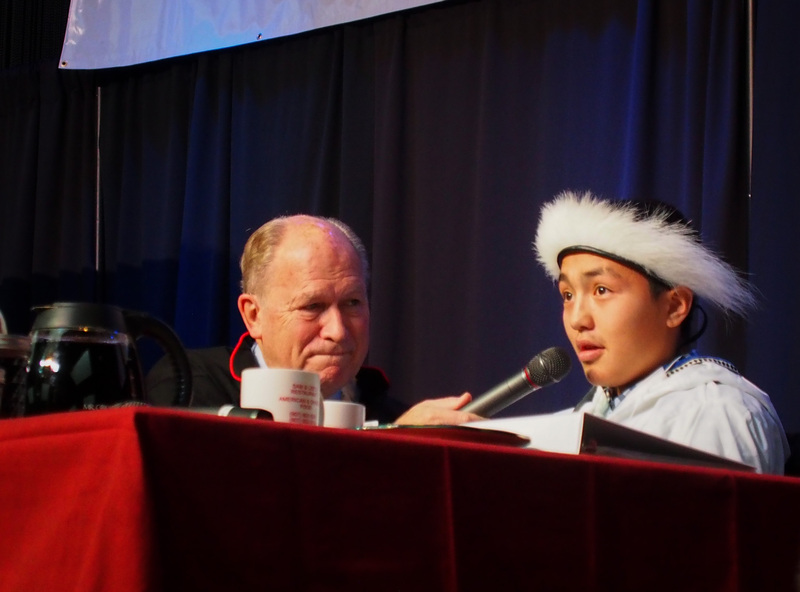 The crowd heard remarks from both Governor Bill Walker and Lieutenant Governor Byron Mallott, both of whom then took questions on a range of topics. Multiple times, the two mentioned a forthcoming administrative action on climate change, but did not elaborate on specifics or a timeline. Walker said he’s been moved to act on the issue, particularly since visiting subsistence communities across the state. Walker and Mallott also spoke of the state “not doing enough” on public safety in rural communities, even referring to the issue as a “crisis.” The men also touched on the importance of protecting subsistence resources, although on that topic the youth keynote speaker brought the room to its feet with applause and cheers. The 17-year-old whaler from Gambell on St. Lawrence Island delivered the first part of his speech in Siberian Yupik. He then switched to English to recount his education in subsistence hunting, starting with mice, squirrels and birds, all the way up to the bowhead whale he struck on a hunt with his family this past spring. The incident caused a backlash against the teen on social media when a radical animal rights activist criticized Apassingok online – an event the young man said strengthened his resolve to keep practicing traditional hunting. And the crowd did stand, giving the young man an ovation. Elsewhere in his speech, Apassingok talked about how even in his own short lifetime he’s seen hunting conditions change, with less sea ice and rougher seas hampering traditional hunting. 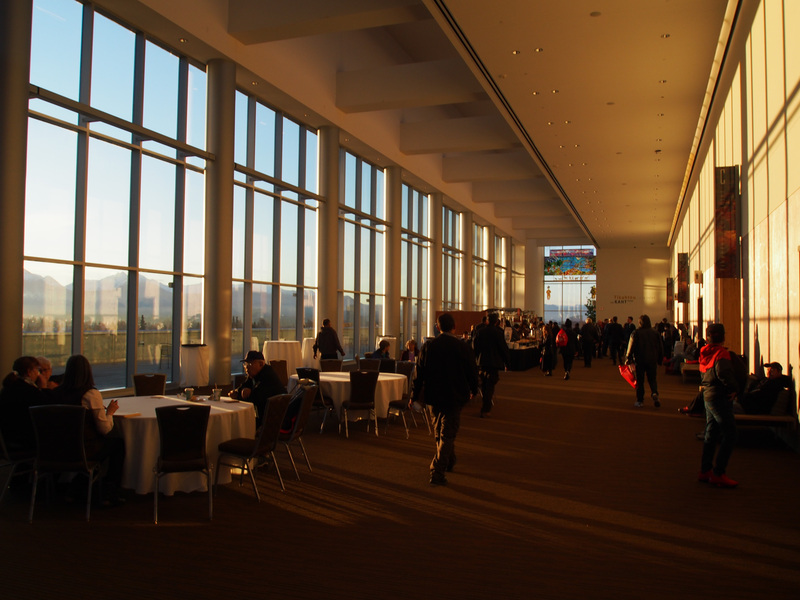 The Elders and Youth conference continues through Wednesday at the Dena’ina convention Center in downtown Anchorage.